A pair of Love Birds is a wonderful alternative to the well-known and well-loved Mandarin Ducks if you wish to boost your love and romance luck. 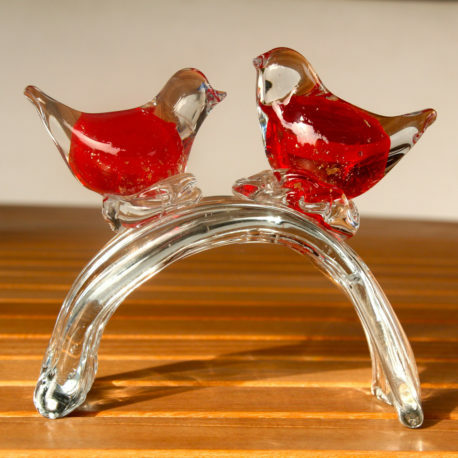 You can always display these Love Birds in the SW of your living room or bedroom. This year, 2019, you can also place them in the NORTH of your home or bedroom to activate the annual No 4 Star for enhanced opportunities to find Mr or Mrs Right. An ideal gift for yourself or a friend who is looking to find love. The Love Birds can also help married couples to re-kindle and strengthen their loving relationship. Shine a light on this pretty pair for increased effectiveness! The birds are hand-made of coloured glass. Each pair is unique. Colours might vary slightly from photo. The Anti-Burglary Lumi Tile is an excellent cure against the annual No 7 Robbery Star which brings burglary, break-ins and betrayals, as well as accidents and violence. 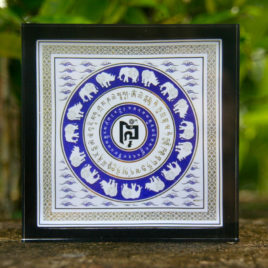 The mandala-like image of this Lumi Tile contains a powerful Dakini Symbol which protects the home from burglars and thieves. 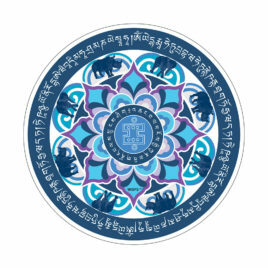 Also included is a circle of rhino and elephant images, the two powerful animals that have long been used as protectors against the violent No 7 Burglary Star. A must have and a personal favourite of mine. 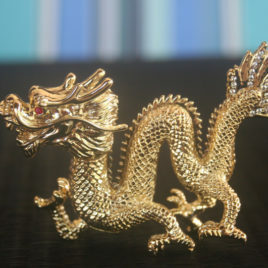 The Chinese have long believed in the power of the Dragon to bring wealth, success, courage and confidence. 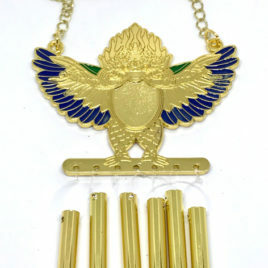 It is also said to bring good fortune for business as it protects from bad decisions and attracts new business deals. Every home and business should have one!